When a rambunctious and energetic child is darting around a pool area, it can be very easy for him or her to slip or fall near the swimming pool, which can result in an injury that requires hospitalization. Illinois swimming pool code is very stringent on the use of slip-resistant materials near the pool area, and the failure to use such materials on the pool deck, diving board, ladders and other structures could cause or increase the severity of injuries near the pool. Pool safety is adversely affected when the materials used in surrounding areas create a slip or fall hazard and pool owners are liable when visitors are injured due to code violations. 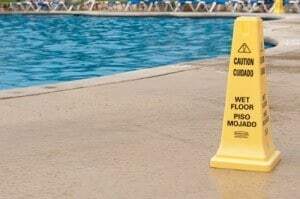 Slip and fall accidents can occur on the pool deck or any of the pool structures such as the diving board, a water slide, ladders or the shallow end of the pool itself. Common slip and fall injuries include the following. Slipping off of the diving board and striking the board or another surface following a fall. Striking the head against the side of the pool after falling into the pool's shallow end. Slip and fall injuries can be severe due to the tendency of the person to fall forward, exposing his or her head, face, neck, and spine. These injuries can be exacerbated if the victim falls into the pool after the fall, placing the swimmer at risk of drowning, primarily if the fall has caused paralysis. The severity of a slip and fall accident can have life-changing severe consequences that require a lifetime of expensive medical care. A qualified swimming pool accident attorney may be able to help you recoup these medical costs if your injuries were the result of negligence and could have been prevented if the slip or fall was due to a lack of slip-resistant material where required by law. The pool owner or operator is responsible for ensuring that the pool and surrounding area is safe for those who use the pool as well as bystanders who aren’t actively swimming in the pool. Rosenfeld Injury Lawyers LLC strive to defend the interests of those injured unduly because of the negligent actions of others. If you or a loved one has been injured in an Illinois swimming pool accident, contact us today so that a lawyer can begin an evaluation of your case. 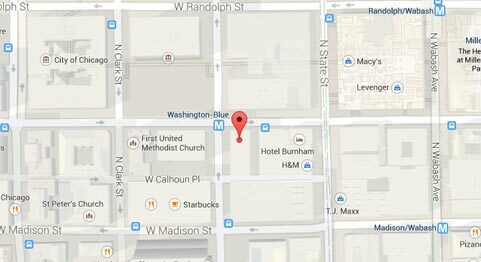 Our consultations are free of charge, and you will be informed of your legal rights and options as well as what to expect from your lawsuit. If we are unable to win or settle your case, our services are free of charge.